Beecroft Peninsula is the spectacular northern headland of Jervis Bay. The Peninsula encompasses an area of about 5250 hectares just south of Currarong, a small coastal tourist village that is about 200 kilometres south of Sydney (2-3 hours drive). 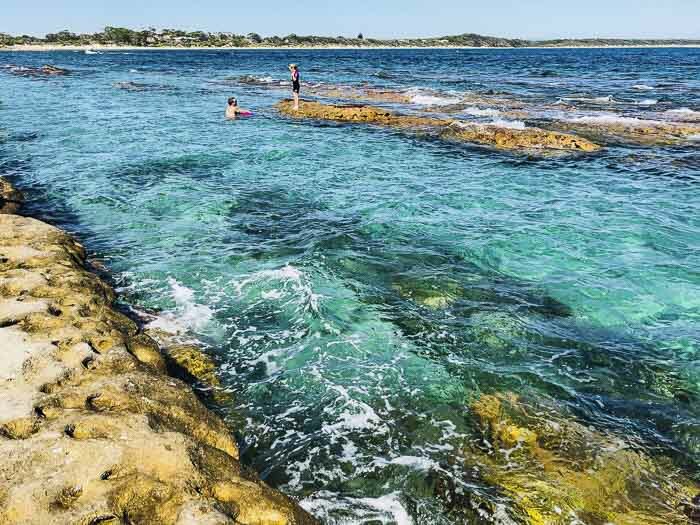 Currarong is the most delightful fishing village, a real old-fashioned holiday retreat. The southern area of Jervis Bay has the most picturesque and whitest sand beaches such as Hyams Beach and Greenfields Beach. For this reason, Beecroft Peninsula might be perceived as the poor cousin of the bay. However, it is surprisingly beautiful. It has spectacular sea cliffs, bush walks and unspoilt beaches. If you are looking for a weekend away destination, not too far away from Sydney, just drive 200km south to the Beecroft Peninsula. 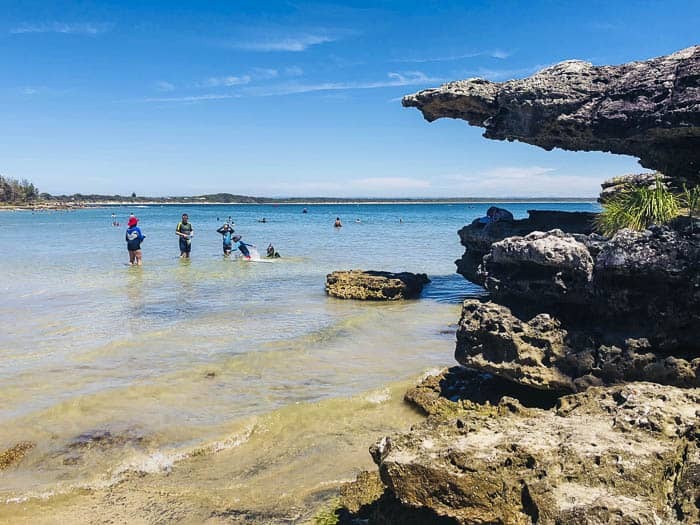 Although it is small pocket of the breathtaking Shoalheaven coastal region, it has the best of both worlds: Currarong is a low key location that invites to relax, but at the same time it is surrounded by unspoilt nature that offers all sort of activities for the most adventurous. Also, it is one of those places that you should have on your to go-list because you can have a memorable family holiday or a weekend away without breaking the budget. Also, this area is one of the top spots of NSW for whale watching. We spent two nights in Currarong in January and we loved it. We had time to chill out, but also to explore. Are you ready to escape from the city? You can find all you need to know in this article. Beecroft Peninsula doesn’t have a big tourism infrastructure. Considering that it is not too far away from Sydney, it is actually quite undeveloped. Accommodation is limited but there are lots of holiday rentals accommodation and several caravan parks in the area. 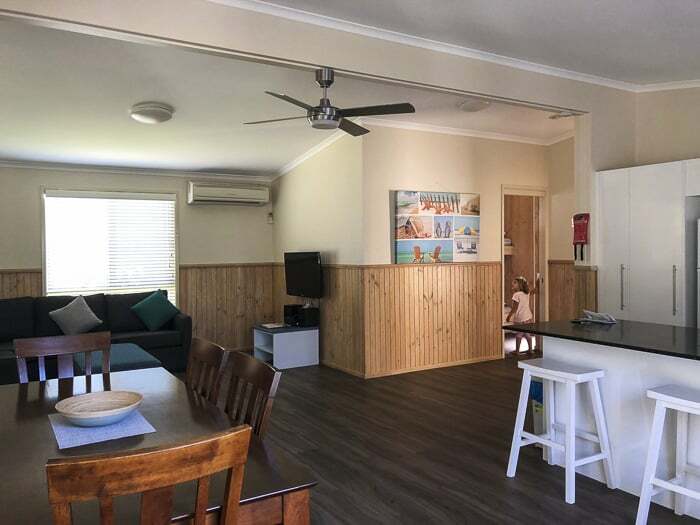 Besides renting a house, the best place to stay in Beecroft Peninsula is Currarong Beachside Tourist Park (Address: 8 Cambewarra Road, Currarong NSW 2540. Free phone: 1300 555 515). We stayed here and I highly recommend it. 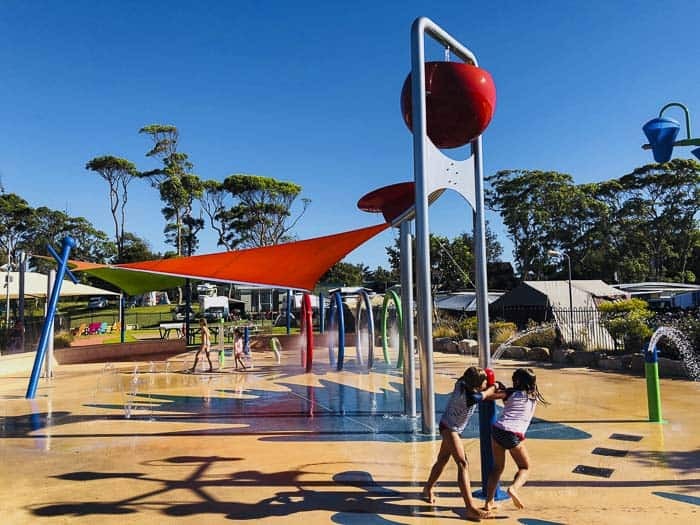 The tourist park is a short stroll to Warrian South Beach / Currarong Beach and it has excellent recreational facilities. During peak season, the park offers activities such as movie nights. Also, there are food trucks in the evenings of summer holidays. Bless the managers of this tourist park! 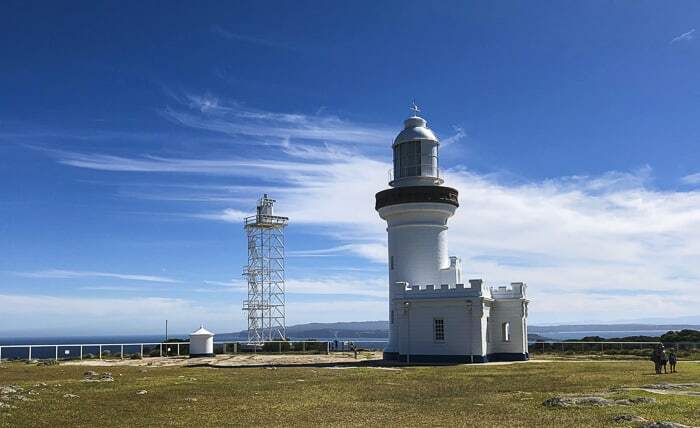 If you are an adventurous family, another option is the Honeymoon Bay Campground (Lighthouse Rd, Currarong, 2540). Phone: 02 4448 3411). 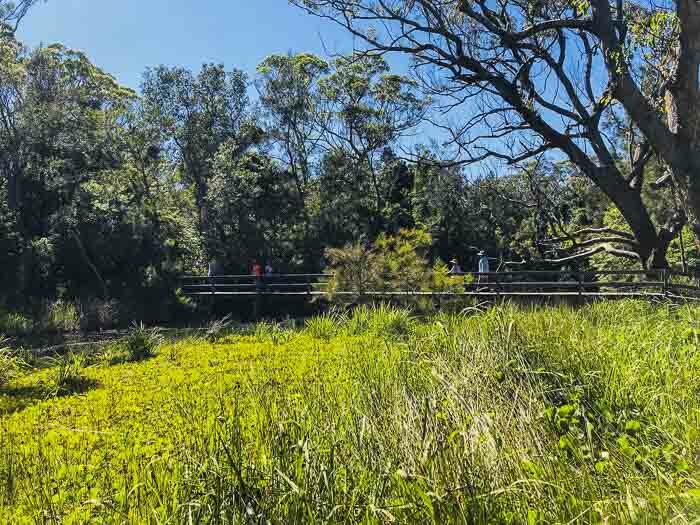 Basic bush camping is available on most weekends (Friday and Saturday nights only) and during NSW School and Public Holidays, when Beecroft Weapons Range is open to public access. The campsites for the NSW Summer School Holiday Period are allocated through a ballot system. Applications forms are available from the 1stof July each year. At all other times campsites are allocated on a first-come, first served basis. Also, remember BYO water and gas operated cooking equipment. Fires are not permitted. Have cash ready to pay the camping fees, there aren’t any EFTOS facilities. Check the Beecroft Weapons Range Facebook page to see if it is open. 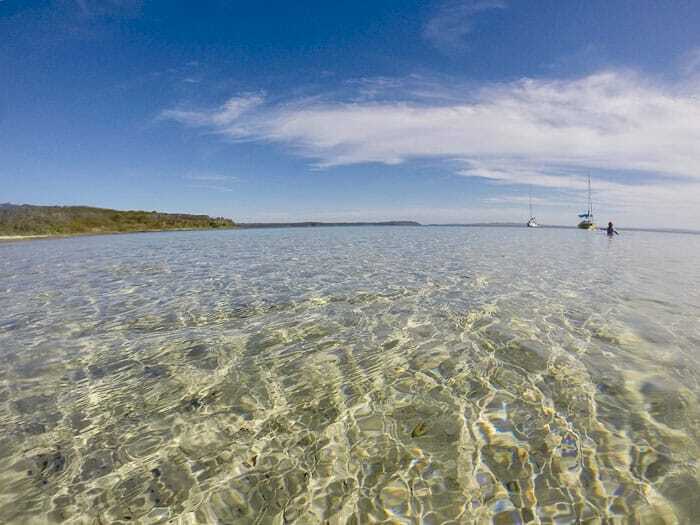 If you cannot find accommodation in Beecroft Peninsula, check out a list of good accommodation at Jervis Bay here. Zac’s Place in Currarong is very popular (Address: 1 Piscator Avenue, Currarong NSW 2540. Phone: 02 4448 3177). Kitchen opens at 8am daily, closing time varies depending on the time of the year. Next to the restaurant, there is the take away and a small convenience store, where you can buy the newspaper, fresh bread and alcohol. Note: You will need to book a table, if you want to eat out on the deck and enjoy the water views at the restaurant during holidays. They are always very busy, including the take away. Zac’s Place closes quite early, so don’t leave the phone call for last minute, plan ahead (We committed this mistake and we nearly missed dinner). 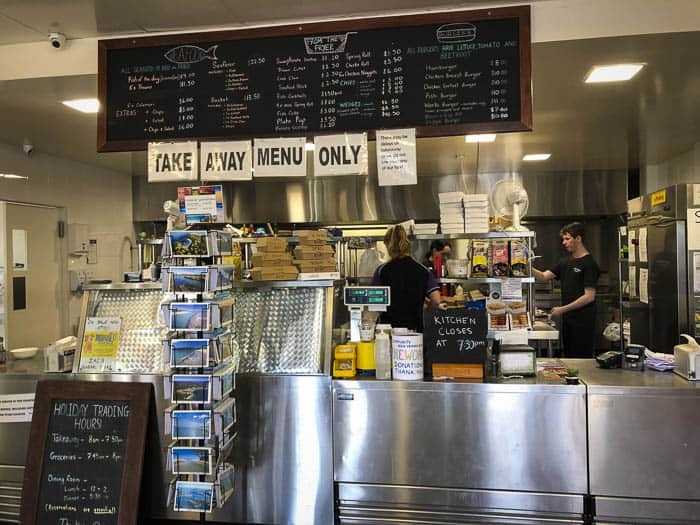 Merimbula Bistro – Currarong Bowling Club Chinese Restaurant (16 Currarong Rd, Currarong, Currarong NSW 2540. Phone: 02 4448 3038). It is where the Currarong Community gets together. You can join in the Social Lawn Bowls, Fishing Comps, etc. The food cuisine is Chinese. The restaurant has mixed reviews, so I would suggest that you do your own research before you go. 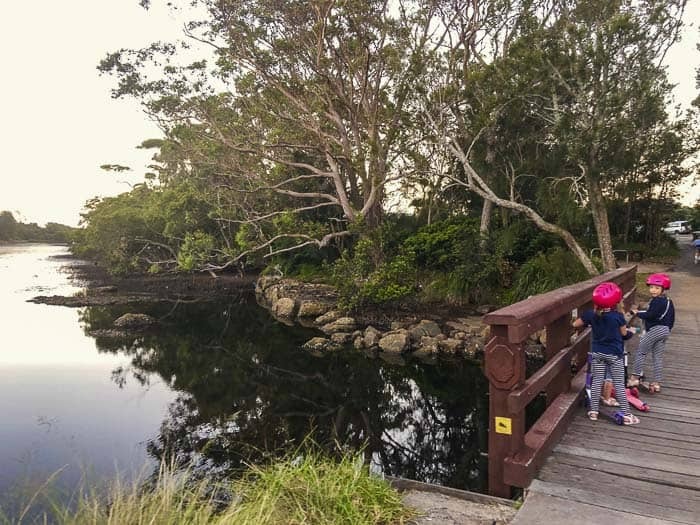 Beecroft Peninsula is a great place to reconnect with nature, to go for a walk, to feel active. On the other hand, it is a sanctuary of peace for families that just want to take the kids to the beach and enjoy multiple activities without having to drive too much. 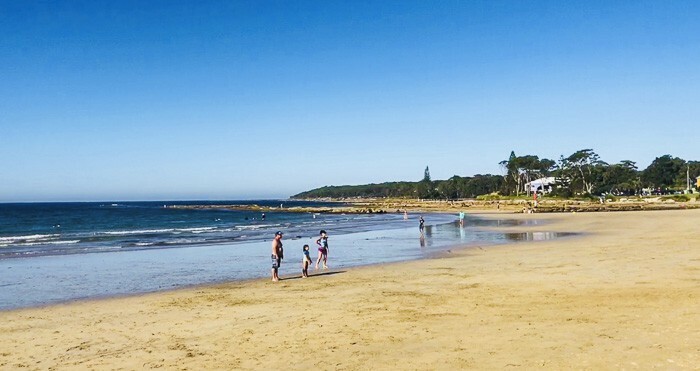 This is Currarong’s protected main beach. It has a beautiful natural rock pool at the northern end of the beach. 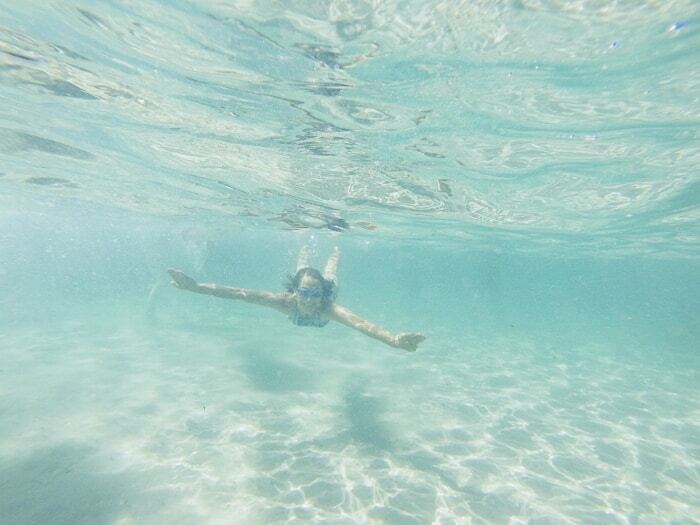 The water was crystal clear! Also, there is a lovely reserve with picnic grounds and barbecue facilities. From the Abrahams Bosom Reserve, there are two interesting walks. See the paragraph of “Walks” for more info. The beach is the continuation of the long Warrian Beach. The rips are a hazard along Warrain Beach, so the best swimming area is along the more sheltered Currarong Beach. 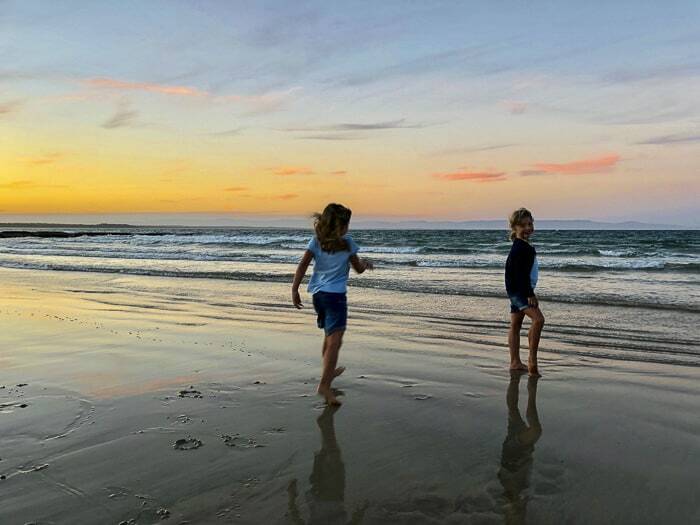 This beach is still perfect for the children to have a splash and play with the sand, especially is you are staying in the caravan park. Next to the creek there are lots of sharp barnacles, so be aware of them if you go to explore the rocks. The beach belongs to the BWR area, it is very easy to access, a short walk from the Cabbage Tree Beach car park. It is a stunning beach, very sheltered, good for swimming. 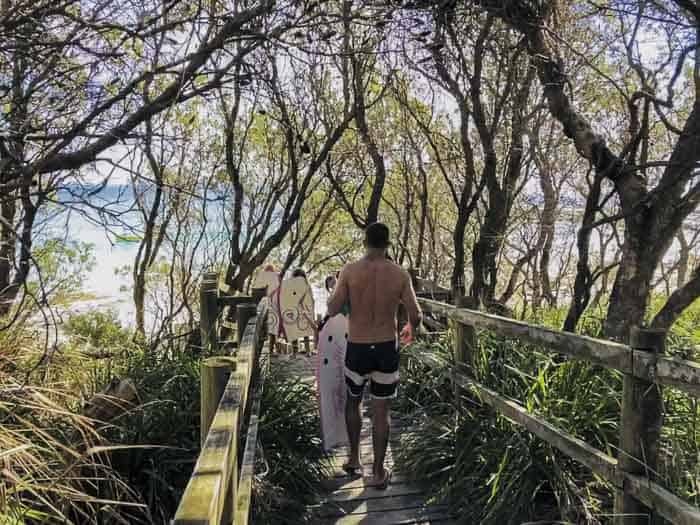 You might want to choose Cabbage Tree Beach instead of Honeymoon Bay Beach during peak season. This was the advice that the ranger gave us (Sshh, it was meant to be a secret…). Honeymoon Bay and Bindijine beaches: They also are located in the BWR area. They have basic picnic and camping facilities. Both beaches are good for swimming. Honeymoon Bay is a favourite with its nearly perfect round shallow bay. Bindjine -less picturesque- is a long sandy beach. It has a small jetty at the northern end and it tends to be less crowded. All suggested beaches are unpatrolled. Always keep a close eye at your children despite the calm waters. I recommend checking the very comprehensive website of Beachsafe. Swimming is generally very safe, but I wouldn’t adventure with ocean swimming, we found a shark egg in one of the Beecroft Weapons Range beaches. Pack some umbrellas or sun tents, and don’t forget the sunscreen! Shade is limited in some beaches. Cabbage Tree, Honeymoon Bay and Bindijine Beaches belong to the Beecroft Weapons Range, which is accessed from the Defence entry station. Security will take your rego details, will note the number of passengers and will ask you about your destination. The officer will give you some brochures. There are some strict rules to follow while you are in the area. If it is closed, you will just have to turn around! Therefore, ring before you go. Phone number: 0244483248. Tip for the beaches of the Beecroft Weapons Range: Go in the afternoon to avoid crowds specially in school holiday periods. Point Perpendicular Lighthouse Station is located approximately 10 km from the Beecroft Weapons Range entrance gate. It was built in 1899 and it stands 93 metres above sea level. In 1993, it was decommissioned and a new automated solar-powered light tower replaced it. This natural wall is one of Jervis Bay’s most photographed landmarks. It is a destination for rock climbers. But, another way to see the amazing cliffs of this area is by boat. For more info about it, click Seana’s boat trip here. Also, Point Perpendicular is one the best land based whale-watching site on the south coast. The whale season runs from May to November. As it is not recommended to go with young children, we didn’t go. But, apparently, Gosang’s Tunnel is spectacular. You might like to attempt it at your own risk (note: the edges of the sea cliffs at the end of the cave are exposed with no rails). This sea cave is part of the 9km “Coomies Loop Walking Track” that starts at Abraham’s Bosom Reserve, at the end of Beecroft Parade, Currarong. Local cellar that you can visit to buy some hand pressed, hand made wine. Or, you can make an appointment for tasting (Address: Peel Street 2540 Currarong. Phone: 0403384384). There are some swings opposite Zac’s Place. 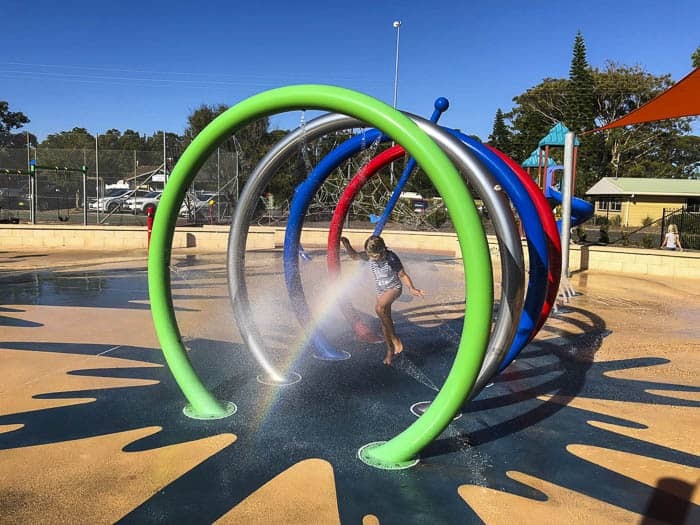 The best playgrounds in the area are Huskisson Jetty Playground and White Sands Park Playground, also in Huskisson. Good museum to visit, if you like planes and military stuff, or if it rains. The Museum boasts a 6000m2, two-storey exhibition centre, souvenir shop, function centre, theatre and airfield viewing platform. There is a flight simulator, too. The Museum is open seven days a week except for New Year’s Day, Good Friday, Easter Monday, Christmas and Boxing Days. Pre-booked guided tours are also available for bus groups at no extra cost. (Address: 489A Albatross Road, Nowra NSW 2540. Phone: 02 4424 1920). The Wreck Walk: An easy 2.5 kilometre return walk that takes in the site of the wreck of the S.S. Merimbula which ran aground in 1928. Read Seana’s adventure doing the walk here. Coomies Walk: It is the main circuit (which includes the Wreck Walk) and it is a more challenging walk of 9 kilometres, but it has rewarding panoramic views from the Trig Station. Other exciting places to stop along this route are Lobster Bay, Mermaids Inlet and the mentioned Gosangs Tunnel. This is not recommended for little kids or inexperienced hikers. There are 10 walks within the range. The Information Centre at the gate provides a very informative list of the tracks. The ones that I am listing are the easiest, according to the BWR brochure. Green Point (2.5 km return, Easy): Green Point and the surrounding shallows of Hare Bay are a great place to see migratory waterbirds. Cabbage Tree Beach (0.2 km return, Easy): leads to Cabbage Tree Beach. Amazing beach but limited facilities, good for swimming. Long Beach North (50 m return, Easy): good beach for swimming. There are shell layers located along the beach are middens and they are protected by law. Long Beach South – to Figtree Inlet (1.5 km return, Medium – over rocks): it leads to a secluded beach flanked by littoral rainforest. Target Beach (4 km return, Medium): magnificent views towards Point Perpendicular. Not suitable for swimming. The beach has strong currents and rips! Silica Cove (6 km return, Medium): sheltered and secluded beach with Aboriginal cultural heritage. 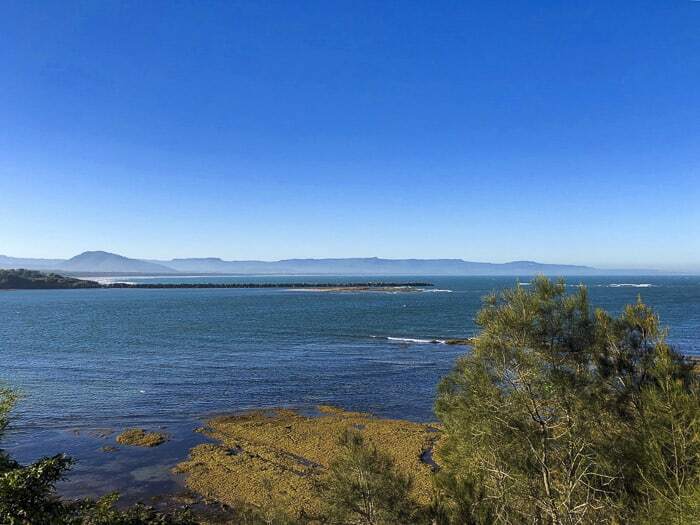 Boat Harbour (6 km return, Medium): it offers good views towards Bowen Island and Murrays Beach across the entrance of Jervis Bay. Note: If you choose one of the BWR tracks, be aware of UXO (unexploded ordnance). It may be present anywhere on BWR. Remain on formed walking tracks at all times for your own safety. Fishing, kayaking, paddle surf, bird watching… or just lie down and read your book whilst the kids play. Explore the rest of Jervis Bay. Hellos Sydney Kids has extensive information about Jervis Bay. Click here, there are more than 25 places listed! Also, I can highly recommend the scenic drive that goes from Kangaroo Valley to Nowra. The drive doesn’t have a tourist route number. But, you can find some information online, if you type “scenic drive that goes from Kangaroo Valley to Nowra”. Nearest station: Bomaderry. Then, you will need to take a taxi or a local bus (Route 730 services Nowra to Callala, Currarong, Culburra, Greenwell; the closest stop is Currarong). Bus: Premier Bus Motor Service, Sydney to Eden route, stop in Nowra. Then, you will need to take a taxi or a local bus (Route 730 services Nowra to Callala, Currarong, Culburra, Greenwell; the closest stop is Currarong). Note: always plan ahead and check all the connections before travelling by public transport, as there can be last minute changes. Accommodation tends to be book out during school holidays. Tip: email the place that you would like to stay in instead of using accommodation-booking sites. We have been lucky more than once even it was a last minute decision in peak season. There aren’t any affiliated links in this article. All my opinions are based on our family experiences. A swim in the natural rock pool of Abrahams Bosom Beach is unbeatable. Look at this water! Does it feel like ages since your last holiday? It is only May; winter is coming soon. Maybe, it is time to plan for a short break. 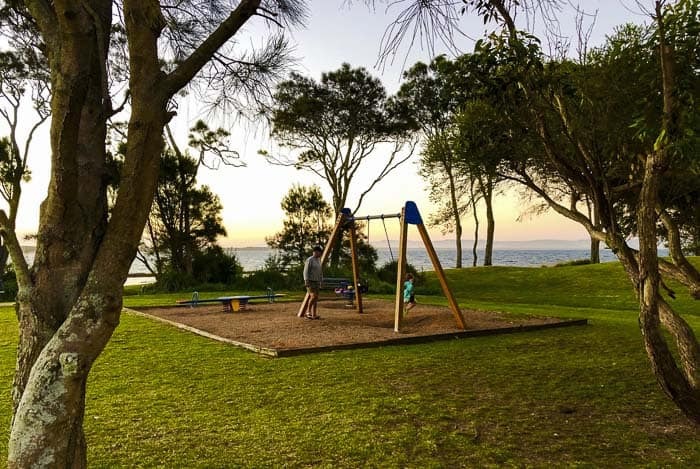 Should we go to Beecroft Peninsula again? If you know other places like Beecroft, we would love to hear from you.